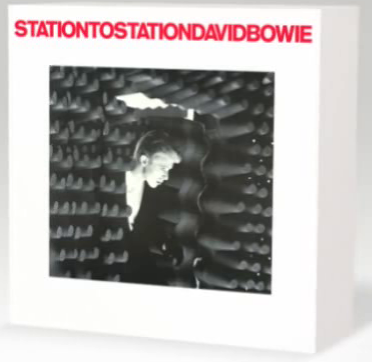 Virgin/EMI is excited to announce the release of a 3-CD Special Edition and 5-CD, DVD and heavyweight vinyl Deluxe Edition of David Bowie’s hugely influential 1976’s album, Station To Station. The opening 10-minute title track leaves the listener in no doubt that another ground-breaking Bowie transformation is taking place. From the sound of a moving train and two-note intro, through the introduction and intention of The Thin White Duke – taking in Crowley, Cocaine and Kabbalah and Romanticism – the song is a piece of paranoid and dislocated electronic-funk. 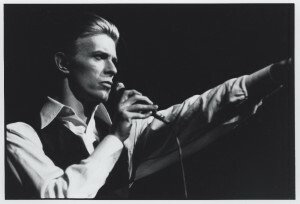 This is followed by the distinctive UK and US Top 10 single Golden Years, which hints at the funk and soul of his previous album, though a more regretful lyric urges the listener to “run for the shadows.” Word On A Wing is the first of the album’s two ballads, with a decidedly Christian theme – a song which in later years Bowie said was something of a cry for help. The back-to-back TVC15 and Stay provide the album with a funkier feel, the former having said to have been influenced by being sprawled in front of a dozen TV monitors and a dream about a girlfriend being eaten by a TV set. A great admirer of Nina Simone’s version of the song, the album’s second ballad and final track is a cover of Dimitri Tiomkin and Ned Washington’s ballad Wild Is The Wind, generally considered an inspired and classic Bowie vocal performance. All you have to do to win this incredible giveaway of a Special edition 3 disc set and the t-shirt is leave us a comment in this post with your favorite Bowie song. Enter as many times as you like to increase your chances of winning. In your comment if you leave your e-mail address we will keep you up-to-date on all the Bowie News. Contest ends October 1st, 2010 – so start entering now! Check out Bowie’s Station To Station site for more info.